Drone racing is an exciting sport and if you’ve ever seen it on ESPN then you know why it is growing. GoDroneX is the brainchild of drone guru Gregg Novosad and he has helped to coordinate drone races at schools in the Chicagoland area. Students compete on teams against other schools. 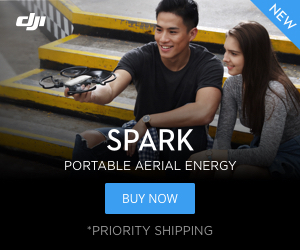 But it isn’t just drone racing. Gregg has turned it into drone gaming. This is the Drone Clan Wars. Thumbs up, goggles down. Check out the video above to see the race in action. Students team up and have 8 minutes to complete as many attacks on the Evil Emporium as they can. Each lap involves interactive modules that pilots have to dodge. Pilots have to divide the 8 minutes between their team of two and have to do fast-paced pit stops. There are even shortcuts that appear and disappear during the race. Each lap completed counts as an attack. The team with the most attacks at the end of the day wins. Check out all the rules at www.godronex.com. The Inductrix FPV, Eachine M80 and Emax Tinyhawk are all good options for indoor courses like these. Drones are limited to 60 grams, including the battery. Brushed or brushless, and there are no battery limitations and the quads must have propeller guards. That basically limits the students to 65 or 75 mm whoop style quads. Majority of pilots fly either the Inductrix FPV or the Inductrix FPV +. The Inductrix FPV is a 65 mm brushed whoop that most students purchase as an all-in-one package. It is the most economical way to get into FPV. For $150 you get the drone, remote, and FPV monitor. The Inductrix FPV + is a 75 mm version with bigger motors and the added bonus of altitude hold. The second most popular quad was the Eachine M80. It is basically a clone of the Inductrix FPV + but students have the option to purchase their own remote and goggles. It can be purchased on Banggood for $63 or on Amazon with a remote for $73. The Eachine M80S is an excellent quadcopter and maybe our current favorite, especially for indoor flying. The third most popular drone on the course was the Emax Tinyhawk. The Tinyhawk is a brushless 75 mm quad and the one that I would recommend. 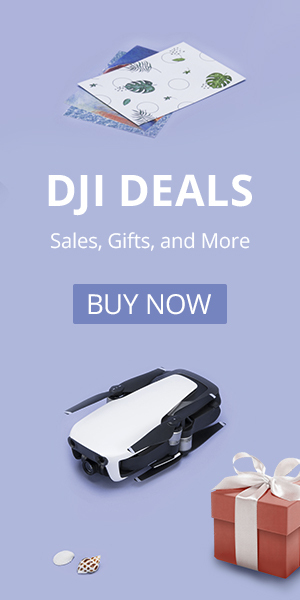 It starts at $99 but for the beginner comes in an all-in-one package that includes the drone, remote, goggles and case for just $165. It is fully customizable in Betaflight and works great for both beginners and advanced pilots. The Emax Tinyhawk is my recommendation and one of my favorite drones. Not only are these courses fun but at the recent championship event elements were built and designed by students as well. Not only do students built, tune and repair drones but they also build and program moving obstacles for the course. There were even prizes for the winning teams and schools that were donated by Horizon Hobby. GoDroneX is a great organization and is doing great things for the hobby.